In 1920, baseball needed saving. The Chicago White Sox were accused of throwing the 1919 World Series and Major League Baseball, in general, was under a constant cloud of suspicion regarding its integrity. The owners responded by hiring Kenesaw Mountain Landis, a federal court judge, to rid corruption and restore the public’s confidence in the game. While Landis’ decision may have been too harsh, it was effective. Baseball, with some help from Babe Ruth, soared in popularity in the 1920s, and gambling – save for a few isolated incidents – would never pose a serious threat to its health again. In 1995, seventy-five years after turning to Landis and over a half-century after his death, you could argue that baseball needed saving again. 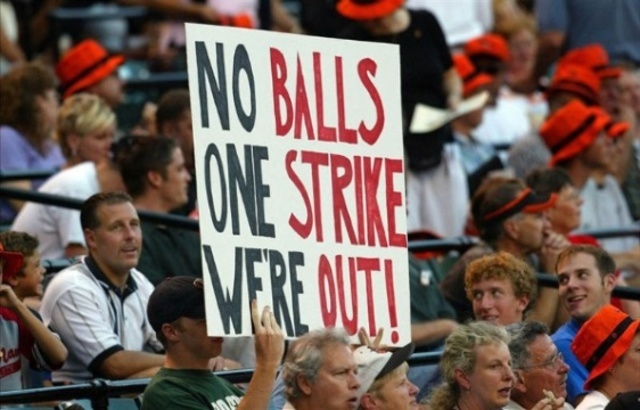 After its second major work stoppage in 14 years, MLB attendance plummeted nearly 6,000 fans per game from pre-strike 1993 (30,964/game) to post-strike 1995 (25,024/game). This time, baseball didn’t summon a heavy-handed commissioner to rescue the game. Instead, it sat idly as home runs spiked – fueled, at least to some degree, by rampant performance-enhancing drug usage that was swept under the rug – like they did in the 1920s, and fans slowly began to make their way back through major-league turnstiles. Baseball owners as well as Bud Selig – who was MLB’s de facto commissioner from 1992-1998 and the official one since – allowed steroids to permeate the game, likely hitting a high point in usage somewhere in the mid-to-late ‘90s. Baseball didn’t even test for PEDs until 2003, long after the game had recovered from the strike. While MLB could have fought back against PEDs in the ‘90s (or earlier), it likely feared that two black eyes against baseball – the ‘94/’95 strike combined with a massive PED scandal – timed so closely together could have relegated the national pastime to the ranks of boxing or horse racing, two once-popular relics of American sport that have been tarnished by constant corruption and scandal. Today, baseball doesn’t need saving. Despite the ominous PED-induced cloud that has hovered over the game since the early 2000s – from BALCO to the Mitchell Report to Biogenesis — baseball is healthier than ever, at least in terms of popularity and dollar signs. Baseball has survived the “steroid era.” In fact, it would be more accurate to say that baseball has flourished in spite of the steroid era. Attendance has reached new heights, player contracts and major-league team valuations continue to soar, and money is flowing into the game at an unparalleled rate thanks, in part, to jaw-dropping television deals. While it’s clear that cleaning up the sport’s PED issues are important, especially for the long-term health of the game and its hallowed records, baseball fans have spoken with their wallets. PEDs aren’t that important to fans that have forked over big money to watch the likes of Barry Bonds, Alex Rodriguez, and Ryan Braun. The success of MLB in the face of rampant PED use hasn’t stopped it from trying to clean up the game while publicly turning on many of its greatest starts. In fact, it seems the success has only emboldened MLB. Alex Rodriguez, the latest casualty, was suspended on Saturday for an unprecedented 162 games – dropped from 211 by arbitrator Fredric Horowitz – plus the entire 2014 postseason for his involvement in the Biogenesis scandal. Rodriguez is heading to federal court to seek an injunction and halt the season-long suspension, and he’s suing everyone in sight (including his own union). Based on precedent in federal court, both from baseball and labor arbitration cases in general, Rodriguez has little chance for success. If A-Rod’s suspension holds up, the New York Yankees – long-embattled with Rodriguez themselves — will be off the hook for the $25 million they owe him in 2014 – or, about, $24.1 million for luxury tax purposes. The Yankees still owe Rodriguez $61 million from 2015-17. Without A-Rod’s hefty salary for 2014, the Yankees may be able to finagle their way under the $189 million luxury tax threshold. If they’ve already scrapped that plan, however, they still have time to distribute their newfound bounty on more productive players. What’s more interesting, though, than the specifics of Rodriguez’s suspension and how it impacts the Yankees offseason plans is the 180 degree turn that Bud Selig – and the rest of MLB – has taken on the PED issue. As we mentioned earlier, Selig/MLB did little to subdue PED usage in the ‘90s, failing to act on the issue until far too much damage had been done. After their belated reaction, however, Selig and his cronies have been on one witch-hunt after another with aims of disgracing every one of baseball’s PED-tarnished stars of the past two decades. The A-Rod suspension ruling apparently wasn’t enough for MLB, as Selig, COO Robert Manfred, and now MLB-aligned Biogenesis headman Tony Bosch took to 60 Minutes on Sunday night to further bury Rodriguez’s already sullied reputation. At best, it was a unwarranted victory lap for MLB. More so, though, it just made everyone involved, from MLB to A-Rod to Bosch, somehow look even worse than they already did. That may be true, but it conveniently leaves out the part of Selig’s legacy that contains the longest work stoppage in the history of the sport, one that created a baseball environment so fragile that Selig – even if he wanted to act — was rendered powerless in the fight against PEDs until the early-to-mid 2000s. Further, “the toughest anti-doping rules in all of American pro sports” were apparently incapable of catching Rodriquez red-handed, as he tested negative 11 times from 2010 through 2012 and, as reported by 60 Minutes, was using undetectable testosterone troches* before games. *Think gummy bears that ensure major-league players hit home runs and doubles at will when they take them. In the twilight of his career, Selig is going out with gavel-swinging, banishing players like A-Rod and Braun to record-long suspensions while ignoring — or, at least, exploiting — the vaguely written Joint Drug Agreement and bludgeoning the once-powerful MLB Players Association. With the financial health of the game at a high point and the ’94/’95 long in the rearview mirror, Selig no longer has to consider the potential ramifications of a continued assault on baseball’s biggest stars. While Selig’s most recent actions are perhaps reminiscent of Kenesaw Mountain Landis’ handling of the Black Sox Scandal, there are key differences. Landis was hired to fix an increasingly corrupt sport and he acted decisively. Selig, on the other hand, presided over MLB during the now-deemed steroid era and failed to respond, in any serious way, for some 15 years. Landis’ reputation is that of an iron-fisted ruler of baseball, and while he had plenty of flaws as commissioner, that reputation is at least largely true. Selig’s reign, on the whole, is entirely different. He was, for the better part of his tenure as commissioner, the guy that wouldn’t stand up to PEDs in the face of the strike he was a large part of. Fortunately, like it always has, baseball will move on. Spring training starts in less than a month and eventually the A-Rod vs. MLB saga will return to the periphery, as we learn which of our favorite players is in the Best Shape of His Life. As years pass, we’ll be able to look back on Bud Selig’s job as commissioner in its totality, with the benefit of time to help guide our final judgment. For now, it appears that he’s successfully won over a large portion of mainstream media and the general baseball public, convincing them that greedy, corrupt players like A-Rod and Braun are the enemy, while simultaneously absolving himself and Major League Baseball from their previous PED-negligence. The baseball history books may not be so kind.